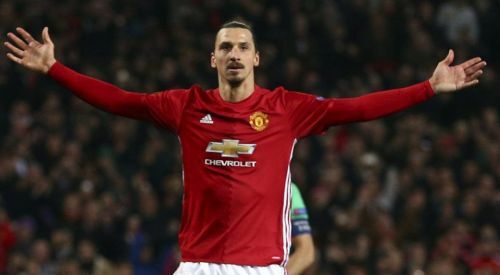 In the wake of Zlatan Ibrahimovic's latest move to Major League Soccer's LA Galaxy, it feels like a good time to run down a list of the Swedish Superstar's very best goals in his illustrious 20-year career. Zlatan demolished LAFC with two stunning goals on his MLS debut, and his iconic debut goal from a long way out will live in American soccer infamy for ages; but is it his best? To kick off this list, we have to look back to Zlatan's time with the French League's Paris Saint Germain. Taking charge and scoring four goals in of a 5-0 victory against the Belgian club, Zlatan's best goal in this game is something to behold. Like a sniper, Zlatan spots a curved cross heading towards the perfect spot, and without missing a beat, the Swede shoots the ball perfectly into the top corner. What's amazing to watch is that the goalkeeper dives in the right direction, yet he can't get a hand on the venomous shot! Which football teams has David Beckham played for?